Don't pass these up if you're an athlete looking for a secret weapon. 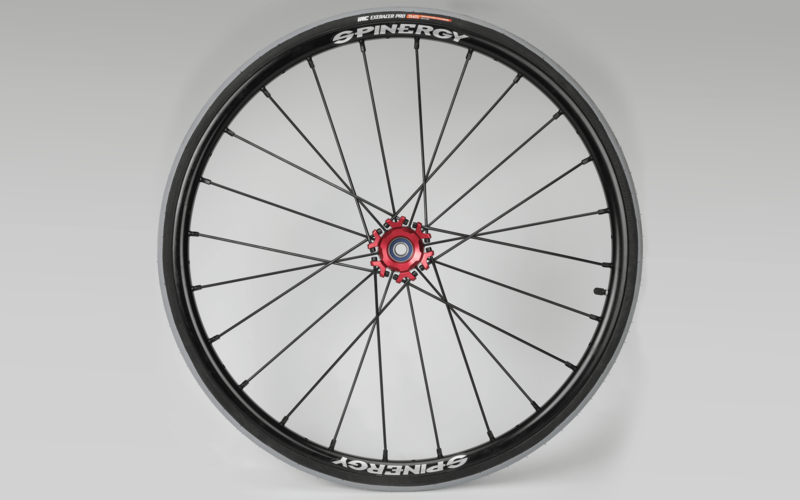 Spinergy is the exclusive distritutor of the IRC Wheelchair tires because we believe in the product. IRC has long been regarded as a super high quality tire. They bring a high-tech approach to their compounds; acheiving a superb balance of grip and low rolling resistance. 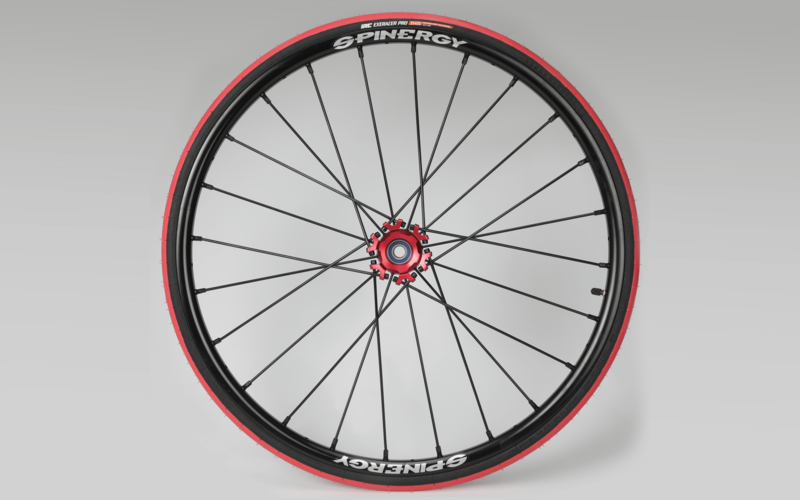 We offer Exeracer Pro tire as an ideal pairing with all Spinergy sport wheels. 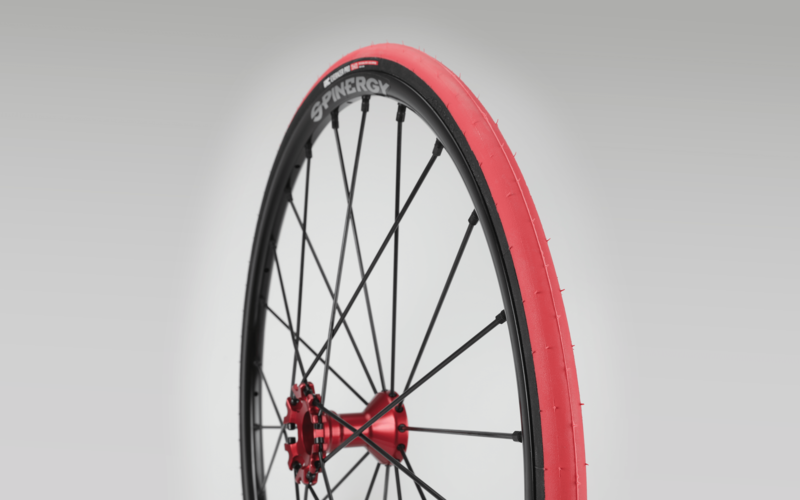 The Exeracer Pro tire offers several benefits no other tire has. They mix silica into their tread compound to achieve a unique grip and performance that only IRC has. They don't lose their grip over time and and stay on the rim better than any other brand. The rubber is also antibacterial! 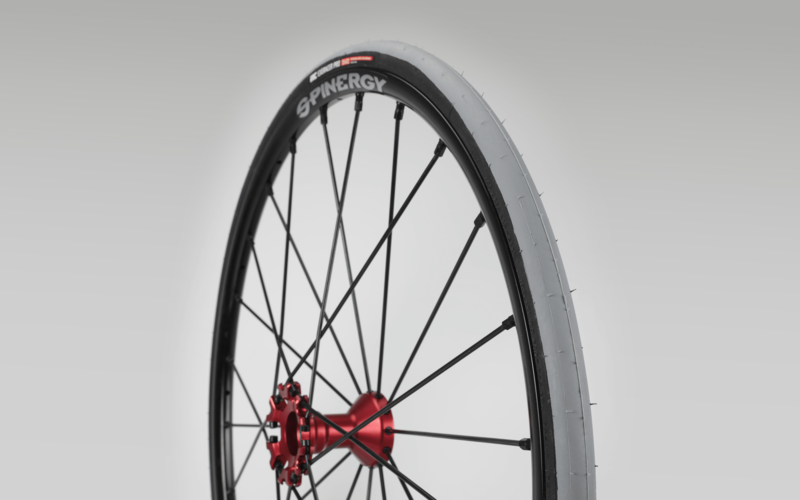 Spinergy offers the Exeracer Pro in 24", 25", 26", 700c (28") size and in two colors, red and grey. Athletes love this tire for its unique grip on the court and unmatched performance. The light tread pattern is ideal for all sports.